This is what ‘organic’ vegetables look like. 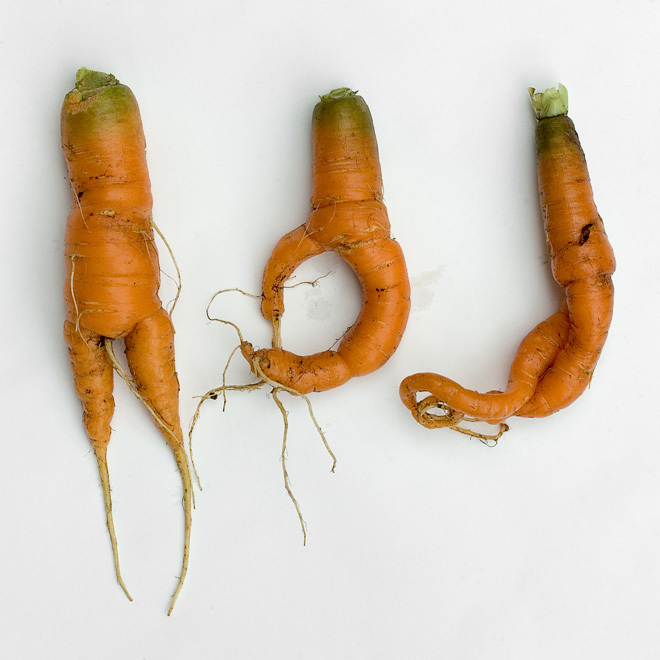 No pesticides or sprays were used in the growing of these carrots. How do I know? I planted them in my backyard and picked them myself. Maybe I should try some genetically modified or synthetic seeds next year. Maybe I should have my soil tested.